Please take a peek at my new sales journal! 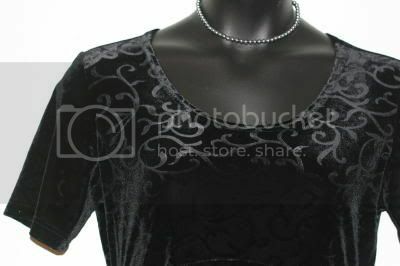 I've posted items from velvet dresses to office wear, sizes up to 4X/5X, even some men’s and maternity pieces. The vast majority of items are just $10 or less, so there are MANY bargains to be found! Among the standouts are a vintage 1950s opera coat, a black velvet Victorian style blouse, and a cobalt blue crushed velvet tuxedo jacket. Also, if your tastes run to the retro and you have the itch to stitch, I have a number of vintage patterns in my Etsy shop that will keep you busy all through the winter months! Thank you in advance for looking and helping to make my December just a bit more merry! gumboot: 4 weeks to Buckle Ball!